2016 Olympic Games Qualification System - How did players qualify for the table tennis events? The 2016 Olympic Games were held in Rio de Janeiro, Brazil from the 5th to 21st August 2016 and the table tennis events were played at the Riocentro (Pavilion 3) which is the city's main exhibition and convention centre. The Riocentro is located next to the Olympic and Paralympic Village and within five minutes of Barra Olympic Park. The table tennis events (men's singles, women's singles, men's team event and women's team event) started on Saturday 6 August 2016 and finished on Wednesday 17 August 2016. But how did they decide who could play in the Rio 2016 Olympic Games table tennis events? The International Table Tennis Federation (ITTF) determine the Qualification System for the Olympic Games in conjunction with the International Olympic Committee (IOC). Unfortunately, not all the best players were able to take part in the Rio 2016 Olympic Games. For the table tennis events there was a limit on the total number of players who could take part - 86 men and 86 women. And each National Olympic Committee (NOC) could only send a maximum of three men and three women (with a maximum of two men and two women playing in the singles events). So some of the stronger table tennis nations, like China, who had several players in the top 20 of the World Ranking list, were only able to send a maximum of three men and three women to compete in the 2016 Olympic Games. 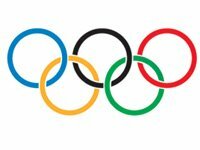 The table tennis players who competed in the Olympic Games represented their National Olympic Committee rather than their country (for example, competitors from England, Wales, Scotland and Northern Ireland represent Great Britain) and they had to meet certain eligibility criteria before they could be considered. Note: The qualification system changes subtly when/if certain criteria are/are not met. Each NOC can only have a maximum of three men and three women competing - with a maximum of two men and two women in the singles events and a maximum of one men's team and one women's team. There were 70 players in the singles events and 16 teams in the team event. 10 teams made up from NOCs with players already qualified through any of the Singles Continental Qualification Events plus additional players from the Team Quota to form teams of three. NB. The Host Country (Brazil) was guaranteed one Men's Singles place and one Women's Singles place, plus one Men's team place and one Women's team place. So, when did we know who qualified for the Rio 2016 Olympic Games? The complicated qualification system for the Rio 2016 Olympic Games table tennis events was finally completed by 30 June 2016. That was the date that the ITTF had to confirm the final allocation of all quota places, whilst 18 July 2016 was the deadline for the Rio 2016 Organising Committee to receive entry forms. So players qualified to take part in the 2016 Olympic Games between 1 July 2015 and 30 June 2016. You can see which players qualified for the 2016 Olympic Games table tennis events here.